Date: Feb 21 2019, 4 p.m. - 6 p.m.
Free and open to all Ranks and all Services; Military and Civilian. All Service Members, units, offices, and employees are invited. 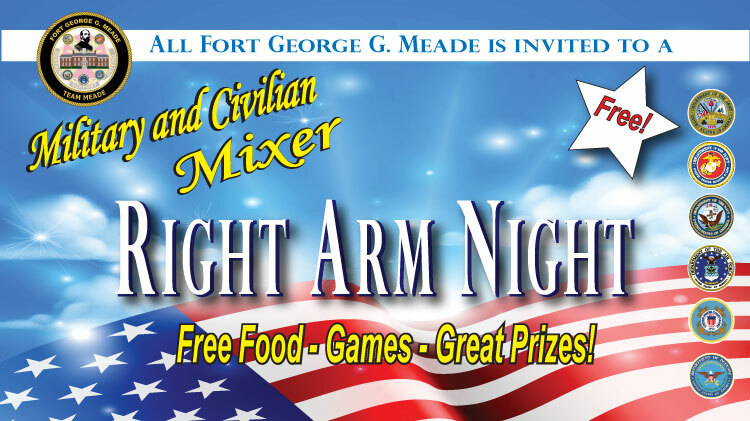 What is “Right Army Night?” It is a time-honored Military tradition of promoting camaraderie and esprit de corps. A night when Leaders treated those “standing to their ‘right” that helped get through the daily mission by everyone attending a relaxing gathering of food and fun. Complimentary appetizers served while supplies last! Units are encouraged to reserve tables for their organization in advance.